For those of us in journalism, media, and political communication who’ve spent the last decade touting the democratic possibilities of digital technologies, 2016 has been a tough year. Critical of the dangers of the consolidation of media ownership, we’ve railed against the powerful, centralized gatekeepers of the past. We’ve scoffed at early-20th-century writings by Lippmann, Bernays, and others and their patronizing way they referred to the masses needing to be instructed, guided, or molded. We’ve cheered for the citizen empowerment that would accompany the downstream migration of control away from concentrated power-holders into the hands of citizens, consumers, and audiences. We’ve celebrated the foresight of elected officials who, in the 1980s, understood the democratic potential of digital technologies and made a case for funding their development. We’ve pointed to Web 2.0 as the ultimate realization of the potential of digital technologies to empower individuals to create, talk back, connect, share, and disseminate original unfiltered content. The rise in digital technologies has been accompanied by trends that are fueling the decentralization of control across our cultural and political institutions — from the declining power of political parties, to a growing lack of faith in traditional journalistic institutions, to public skepticism towards science and intellectual authority. The result is a giant power vacuum that’s being filled with noise, flattery, and disinformation. Even the digital platforms whose entire philosophies are rooted in the promise of decentralization are having to face the reality that the pendulum may have swung too far — away from concentrated power in the hands of a few towards distributed power in the hands of all. Facebook is struggling with the epidemic of false information and “fake news” disseminated through its worldwide platform, and is actively resisting its new identity as news source rather than distribution platform. Twitter is recognizing that its platform is being used as a mechanism for the spread of hate and is being forced to respond before it loses more users and more revenue. What’s becoming clear in the aftermath of the 2016 election is that it’s true: “When everyone’s powerful…no one is.” And citizens don’t like feeling this way. Hence the post-election spike in paid subscriptions to The New York Times and The Wall Street Journal and the positive trend in Washington Post subscriptions over the past year. Hence the increased public attention to the importance of accountability journalism and the need to pay for it. The idea of bringing back some form of elite gatekeepers to engage in a check on what is real and what is not — what is important and what is not, what is true and what is not — harkens back to a time and a paradigm that many of us have criticized as elitist or patronizing. But where we find ourselves now is a far more dangerous place. Yes, back then, power was concentrated in the hands a few individuals, entities, and institutions who set the public’s agenda and oriented the public’s attention to a handful of key issues. But these individuals, entities, and institutions were themselves professionalized and formally trained. They had a code of ethics and guiding principles. And while scholars lamented the hierarchical nature of the information environment, the reality is that trust in these institutions was high. With trust and authority came a shared body of knowledge, a shared set of facts. With shared facts came the opportunity for public debate and shared governance. And while Facebook considers new algorithms or crowdsourcing solutions to help prevent the spread of fake news, what they’ll soon discover is that although contrary to their philosophical orientation to the information environment, Walter Lippmann was right. There is no substitute for experts in a field, parsing information and serving as the arbiters of truth, and reifying our faith in a shared reality, a shared body of facts. Which is why 2017 will be the year journalism and distribution platforms will embrace the reality that no, not everyone is super. 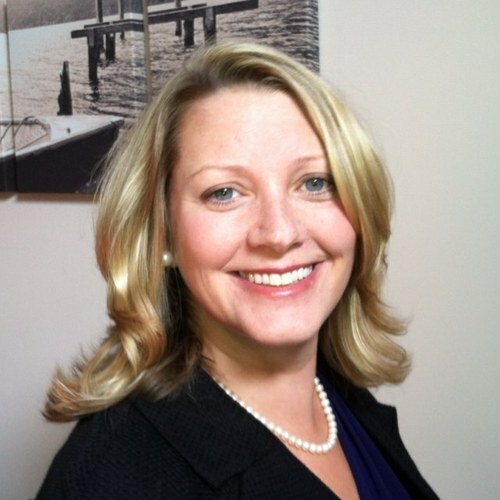 Dannagal G. Young is an associate professor of communication at the University of Delaware. Dec. 12, 2016, 11:46 a.m.